This past semester, I had the privilege of working with Chelsea Kelly, the Manager of Digital Learning, on the upcoming MOOC (Massive Open Online Course) and with Janet Gourley- the Education Department Administrator on different administrative tasks. Between working with my two mentors, I have acquired new skills, understandings and techniques. I did not realize when I started working here how much this would influence my future. Before this internship, I was scared that while my academic career was strong, I did not have a lot of professional work under my belt. Now, I feel so ready for what will come next. This internship has prepared me for office work life, and I was able to feel the satisfaction of seeing a professional project go from a rough draft to a huge accomplishment. One of the coolest parts of doing this internship was seeing how the MOOC has progressed. When I started in July, the MOOC consisted of a just few pieces of paper that had the assignments on it. Now, it has a sophisticated website, forums, videos, beta-testers and potential future participants. It is incredible to see what hard work and perseverance can accomplish. Whenever someone asks where I see myself in five years, I tell them that I hope to be a part of a project that embraces technology and creativity. This project is exactly that; it uses the internet as a resource to help participants become more comfortable with art and museums. Participants can learn a new perspective on of art and open up to new activities. I never hold back my enthusiasm when I talk about this project because it was incredible to be a part of it. 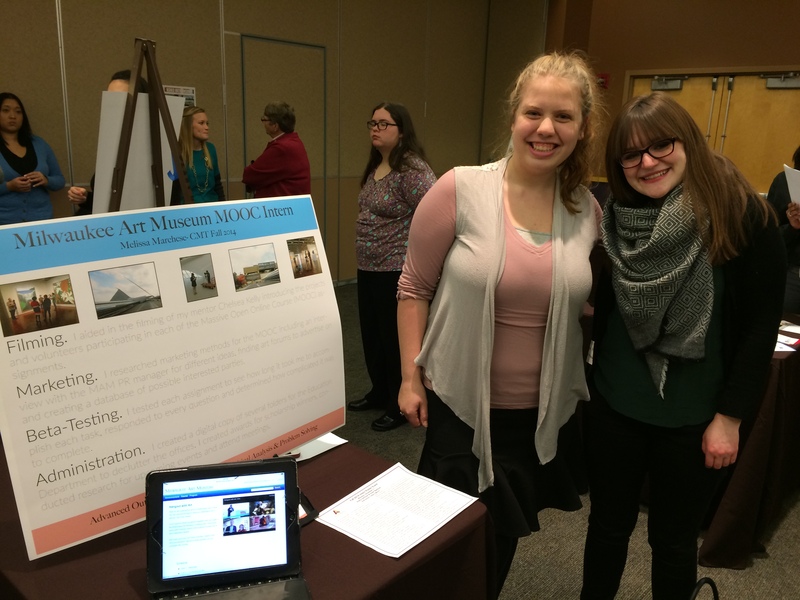 One great opportunity to do this was a poster session event at my school, Alverno College. I did my MOOC internship as part of a class at school; at the end, it requires all interns to make a poster of what they have done at their internship. During the poster session event, each student gets a booth with their poster and any other aids to help show what they have done. 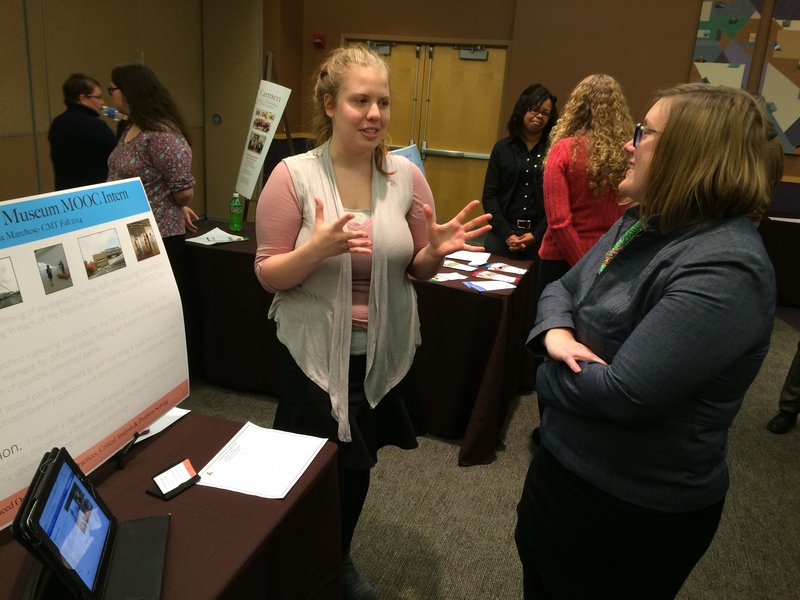 Teachers, mentors, parents and others come to hear the students talk about their internships. I was so proud to tell everyone about my time at the Museum and what I accomplished. I talked about how I aided in the making of the MOOC videos, researched marketing methods, beta-tested assignments, and helped with administration. Everyone showed enthusiasm for my work and could tell that this was no ordinary internship. Working on the MOOC has also given me a new understanding of art. Before I started working here, I would just look at an artwork, decide if I like it or not (I used to only like the ones that involved fairytales or mythology), and then move on. After participating in the MOOC, I ask myself different questions about each painting. How long would this take to make? Would I want this in my house? Can I relate this to any parts of my own life? Would my grandma want this in her living room? If I don’t like it, what it is about the piece that displeases me? Listening to others talk about art has influenced me as well. While helping with and viewing the assignment videos, I was able to hear others talk about what they saw in each work of art. Hearing them speak opened my eyes to new perspectives that I wouldn’t have seen otherwise. Every career involves stepping stones. No matter what your degree is in, you cannot just show up to an office and demand a career there. You have to work your way up to be truly successful. 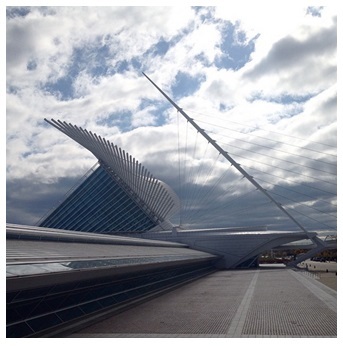 Working at the Milwaukee Art Museum was the perfect step in starting my career. My responsibilities were not what you would expect from a typical intern, and all of my tasks required skills that I learned at Alverno, or new skills that I gained here. I know everything I learned will help me in my future. In fact, in the few job interviews I have had since I started this internship, I mostly discussed my accomplishments regarding the MOOC. Thank you to the Milwaukee Art Museum, Chelsea Kelly, and Janet Gourley for opening so many doors to me. This internship was crucial to my future. I do not know how I will ever repay them for all that they gave me. This entry was posted in Behind the Scenes, Education and tagged college interns, digital learning, internships. Bookmark the permalink.